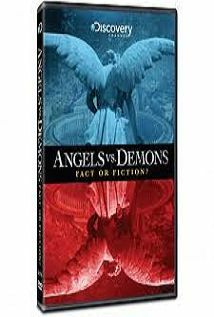 Buy or Rent Angels vs. Demons: Fact or Fiction? (2009) Movie DVD & BluRay Online! Movie Plot: The Vatican has condemned it. Readers around the world love it. And now we separate the fact from the fiction in Dan Brown’s controversial bestseller Angels & Demons. We examine the cutting-edge science of anti-matter and question the historical accuracy of theology, conspiracies, symbolism and cults as described by the The Da Vinci Code author.